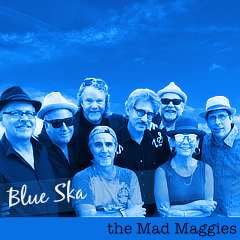 December 18 – 7:30pm – Toad in the Hole, Santa Rosa. No cover. All ages. Your chance to pick up our CDs for stocking stuffers and Accordion Babes Calendars for those special folks on your list! 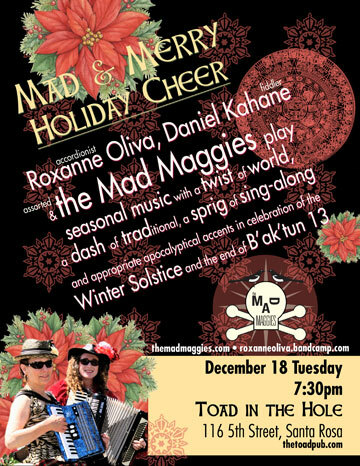 Dan Kahane, free, live music, Mad & Merry, no cover, Roxanne Oliva, Toad in the Hole.